In this world, many things are merely described as mortal and going through the changes of life, yet that is not how you both or your love is described: your love is rare, being infinite and unbreakable. 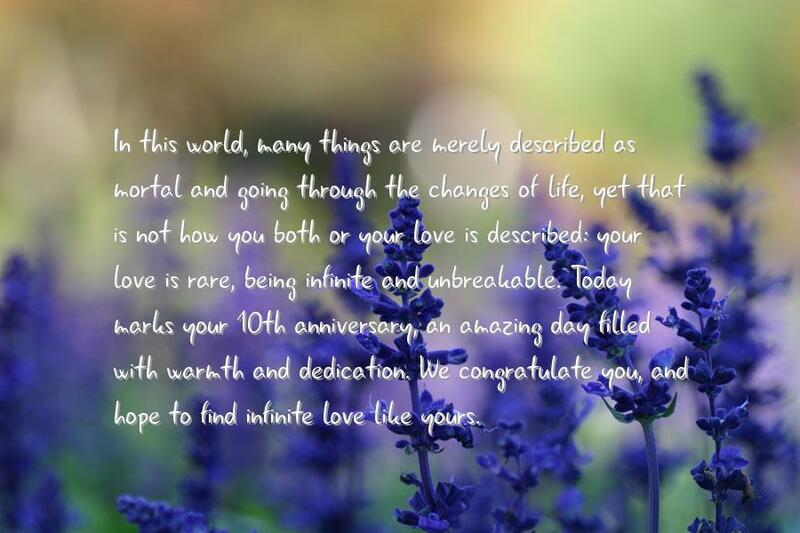 Today marks your 10th anniversary, an amazing day filled with warmth and dedication. We congratulate you, and hope to find infinite love like yours. Seeing how the two of you have grown for the past ten years is enchanting. As your closest friends, we wish you nothing but the best and many more happy years of marriage to come. Happy 10th Anniversary. 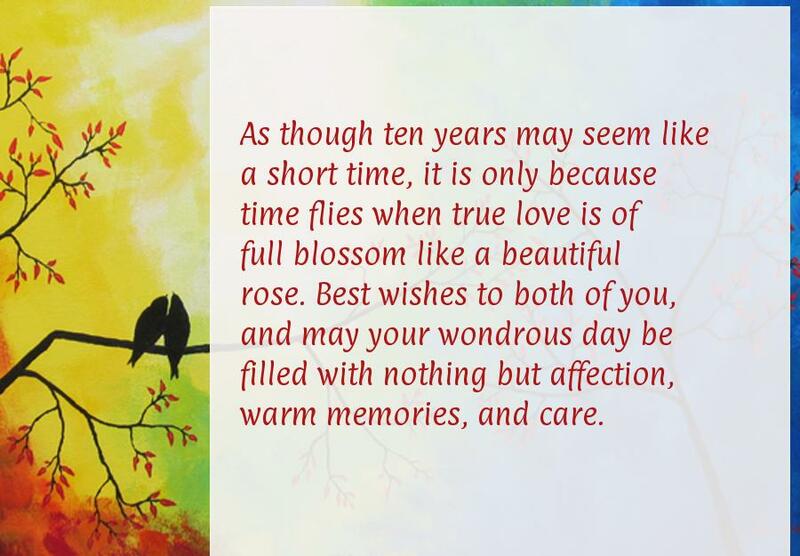 As though ten years may seem like a short time, it is only because time flies when true love is of full blossom like a beautiful rose. 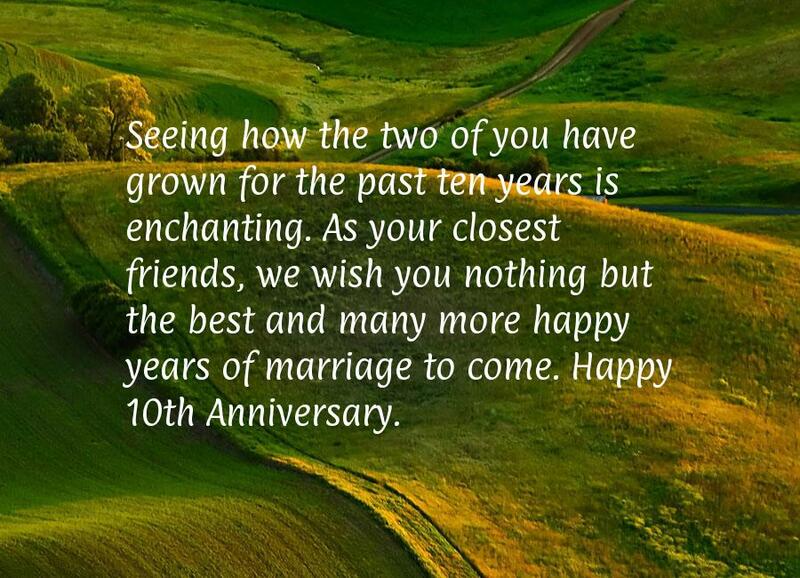 Best wishes to both of you, and may your wondrous day be filled with nothing but affection, warm memories, and care. From the bottom of our heart, we congratulate both of you on this amazing day. It has been 25 years, and that is mind-blowing—so amazing and rare. You are the best couple in the world. God bless, and Happy 25th Anniversary. 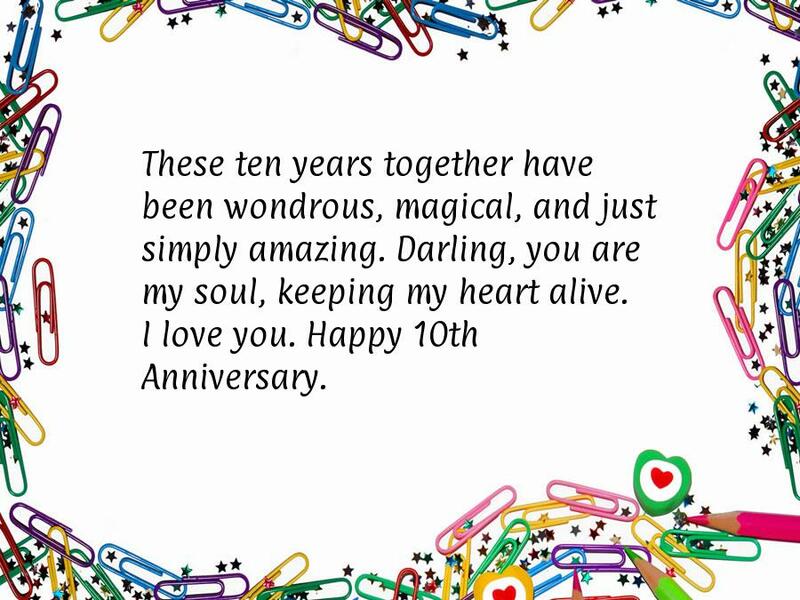 These ten years together have been wondrous, magical, and just simply amazing. Darling, you are my soul, keeping my heart alive. I love you. Happy 10th Anniversary. It is impossible to guess on when you both began embarking the new found journey called Love for you both have been deeply connected before marriage. 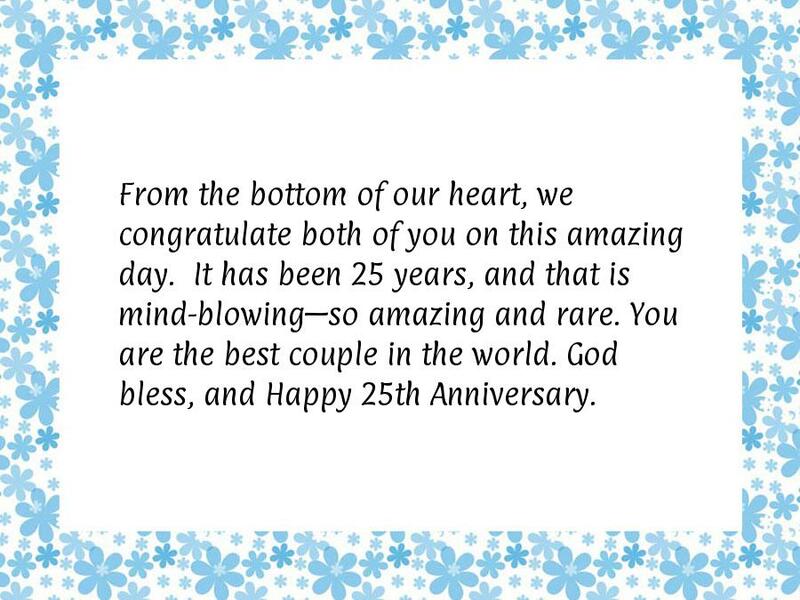 25 years is not only expressing the many wonders, but also showing the world that true love does exist. Continue on living through one another's love for another 25 years, and up until infinity.